Today I completed Day 11 of the 2013 Runner's World Holiday Running Streak. I find it hard to believe that I've done this much running and nothing has fallen off. Granted, I've been taking it pretty easy this week, but my legs can usually find something to complain about which causes me to sit out a day. I've had a couple of niggles & twinges, but nothing major and now will you please excuse me while I go knock on some wood. The weather has been so crappy the last several days, that a lot of my miles have been on the treadmill. Today, though, it was primo outside running weather. 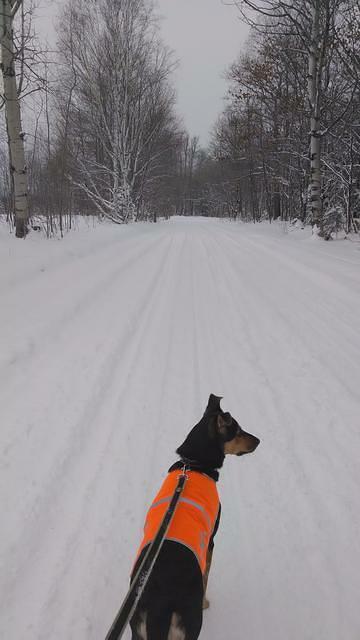 Granted, it was only about 7 degrees, but for the first time in probably four days, there was no wind so Zoe and I headed out. 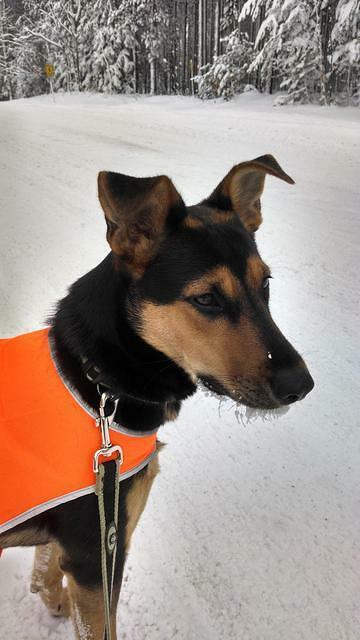 She's sporting her new high-visibility coat. Safety first! She's not bothered by the cold or the snow. She's a machine. 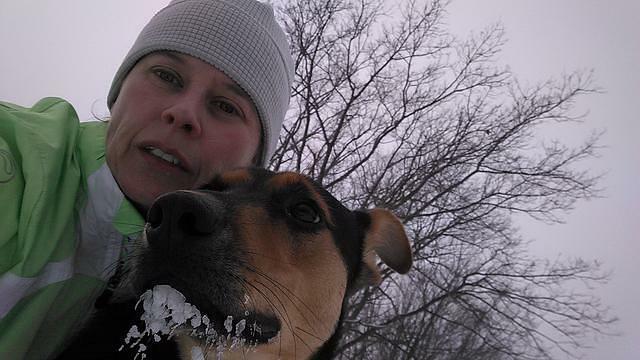 When we finished, she was sporting an impressive ice goatee. 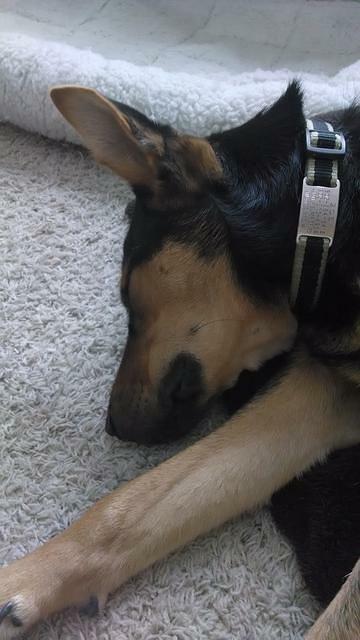 And then she crashed in front of the wood stove for the rest of the day. 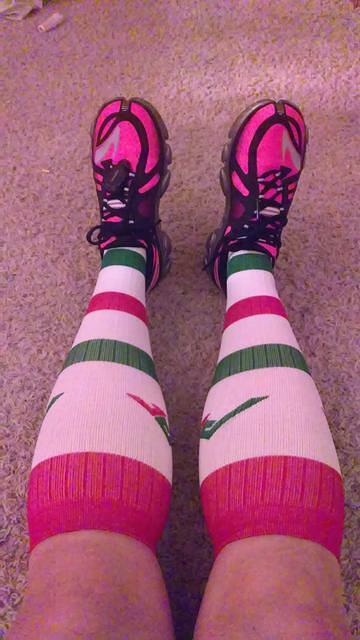 I recovered by spending the day in my new festive compression socks. Keep it tight, man.